Makalu Base Camp Trek is a challenging trek to the base camp of Mount Makalu, the world’s fifth highest mountain. Our itinerary is planned to allow for sufficient acclimatization to the altitude and to maximize the efficiency of travel time, providing ample opportunity to explore the Makalu Base Camp. This trail bring travelers to the humid lowlands near Tumlingtar on the Arun River, continuing through one of the least frequented areas of Nepal to Makalu Base Camp. This particular trek showcases a broad spectrum of ecosystems and cultures. 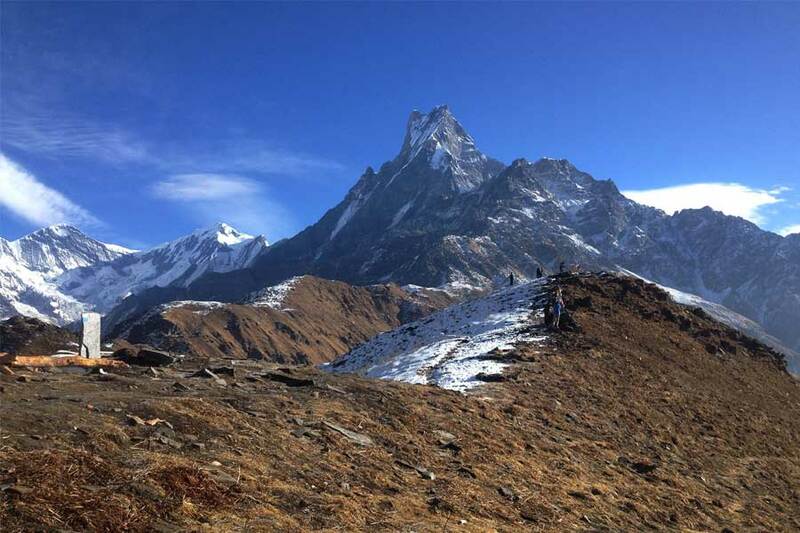 In the areas of the trek in lower altitudes, visitors can experience local lifestyles in the Rai villages and, at higher altitudes, Sherpa villages. 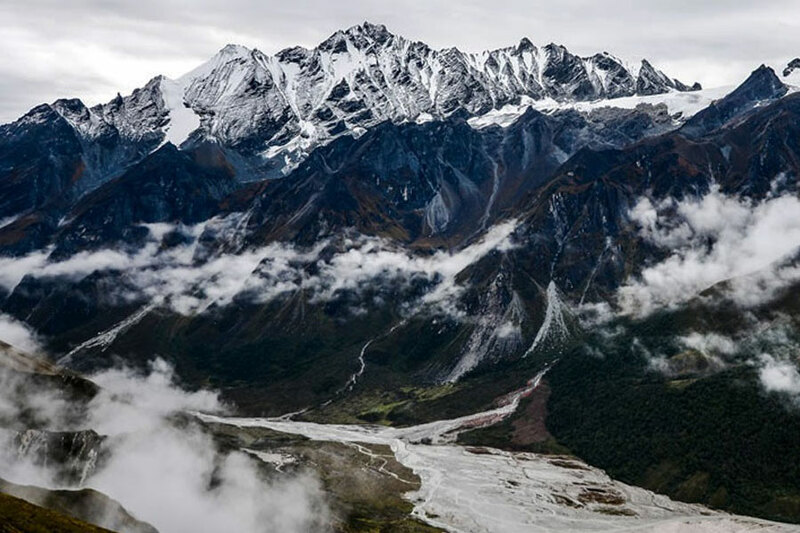 Trekkers will cross Shipton La at an elevation of 4216 m and cross into the remote and beautiful Barun river valley before their arrival at Makalu Base Camp. Along the trail, visitors will experience superb views of the south face of Makalu as well as Everest, Lhotse, Chamlang and Kanchenjunga. Trekkers who are interesting an “authentic” trekking experience in Nepal, Makalu Base Camp Trek particular route is highly recommended Contact us Today NO.1. Trekking Service Provider Company in Nepal Himalayan Trekking . ! The meals provided by Himalayan Trekking.com Team are plentiful and delicious, We will have our own private cook during the trek. For the breakfast it’s usually a variety of cereals, bread and eggs. And for lunch and diner it is usually rice, noodle or soup and seasonal vegetables. If you want to buy snacks, the accommodations sell plenty of biscuits, chocolate and soft drinks and in some areas you will find fresh fruits in season. We provide deluxe service for this adventure using 3-4 star hotel in Kathmandu and Pokhara, accommodation in tented camp during the hike. It will be the ideal moment to brief all together about the trail and to meet each other. On the morning, you will climbing gradually to Tashi Gaun . On the way, we will cross many streams, walk through terraced rice fields and forested areas. Before to reach the Sherpa Village of Tashi Gaun and to conclude our trekking day we will climb a small ridge. You will start your ascent to get the village of Mure. 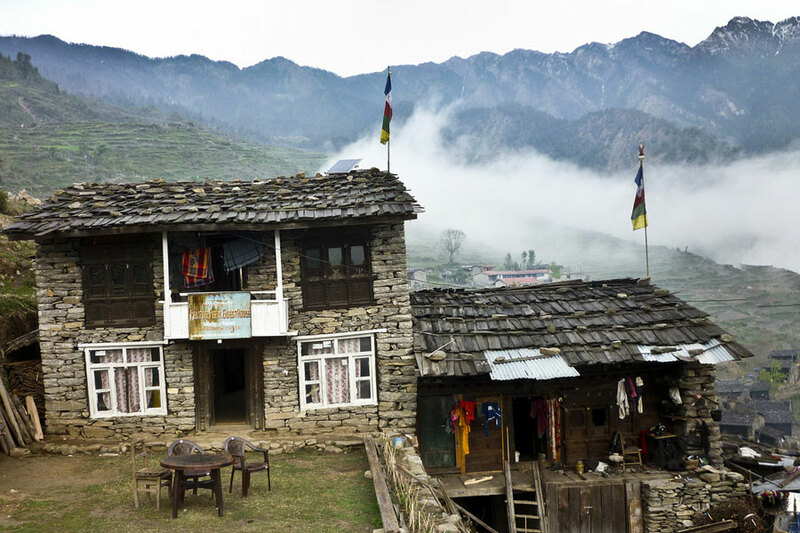 Both Sherpas and Rais inhabit this village, you could meet and share good times with locals. For your second trek day, we will descend on a rocky trail to Num, which is on a ridge above ArunKosi River. Then we will walk through jungle and cross the ArunKosi River on a suspension bridge. Finally we will climb to Seduwa. At the foot of the Lamjung Himal, Tashi Gaun is little village is mostly inhabited by the Gurung community. This village offers a good time to know about the life and culture of the Gurung community and to enjoy the superb breath-taking views of the mountain. Today, we will leave the last village of the Makalu base Camp trek. The first part of the trail will be on the beautiful shade of rhododendron and oaks forest. Then, you will discover the summer pastures with some temporary made shepherd huts. From here to Kahuma ridge (our night stop) is steep and strenuous. An effort recompensed by the view of scenic mountain ranges. Our trek continues to a gradual trail with some up and down passes. We will walk edge to the ThuloPokhari (big pond) and Sano Pokhari (small pond). Afterward we have to walk cross the pass of Tutu – La at 4075 meters of altitude. For the last step we will go down to the vegetation to find a small clear place to camp and spend the night in the middle of a luxurious flora. Our trail will continue in the forest of Barun Valley, one of the least explored areas in the eastern Himalayan region of Nepal. Hundreds wild species of fauna and flora lives in this area. We will keep walking along the Barun River, cross it as well as others streams. For the last part of the trek, the trail gets hard, slippery and rocks falls are common. On the way we will cross wooden-bridges and the vegetation will disappear progressively of our trek to leave a beautiful view on the Makalu Peak and the lower Barun glacier. After 7 days trekking, you will enjoy this relaxing day. As you prefer, you could stay at the basecamp to have a rest or explore the area to enjoy the view of Makalu Peak, the Kangshung face of Everest (part of Tibet) and Barun glacier. If you still have motivation you could walk an hour to find a large prairie that offer you a breath-taking views of the Himalaya. It’s time to go back down to the Barun Valley. The way back is always easier… Enjoy the landscape and take some photos. The trail will lead you to Mumbuk with up and downhill. We will have a stop at Tashi Gaun village but we well keep trekking to join Navagaun. A cool walk in a forest shade.Navagaon, is situated high above the basecamp of Seduwa. We will walk down to have a first stop in Seduwa village and finally reach Num Village, which is on a ridge above ArunKosiriver. On the first 2 – 3 hours, the trek uphill with a high ridge to climb. We could make a break on the top before to have a relax downhill walk to join Chichila village. You will have free time to explore the area and meet the locals. It will be a gradual downhill walk through forest, farmland and small villages before to reach the village of Khadbari. It’s our last day of trekking and Himalayan Vista team hope that you would have liked your trekking. We will have the lunch in Tumlingtar and you could have free time during the afternoon. After your breakfast, we will leave this part of Nepal to go back in Kathmandu. Himalayan Vista team organise a farewell diner to conclude our beautiful trip all together. With many memories in your mind and beautiful photos on your camera of Makalu Base camp trek, we will transfer you to Kathmandu airport and you will flight back home. Twin sharing accommodation on tents during the trek.